Overall size of this box is approx. 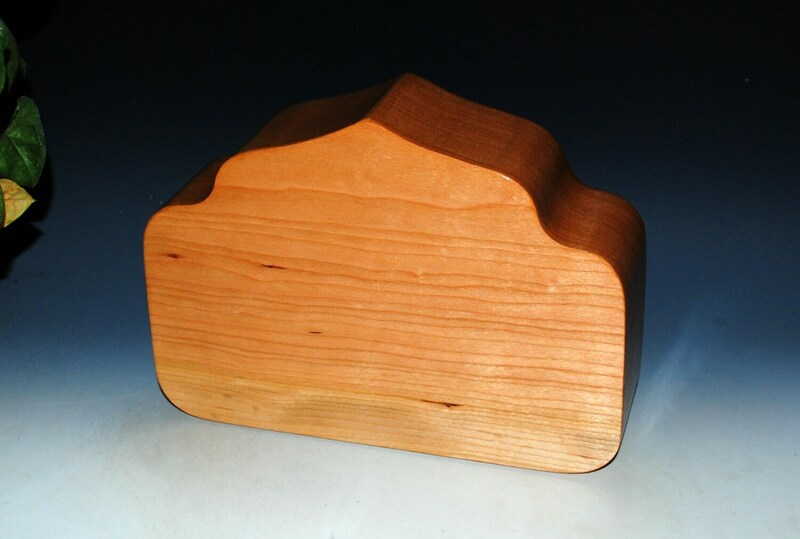 7.25" wide x 9.5" tall and total depth of 2.5". Here's a fun shape that just happened. Actually it was inspired by a Harley Davidson Logo. 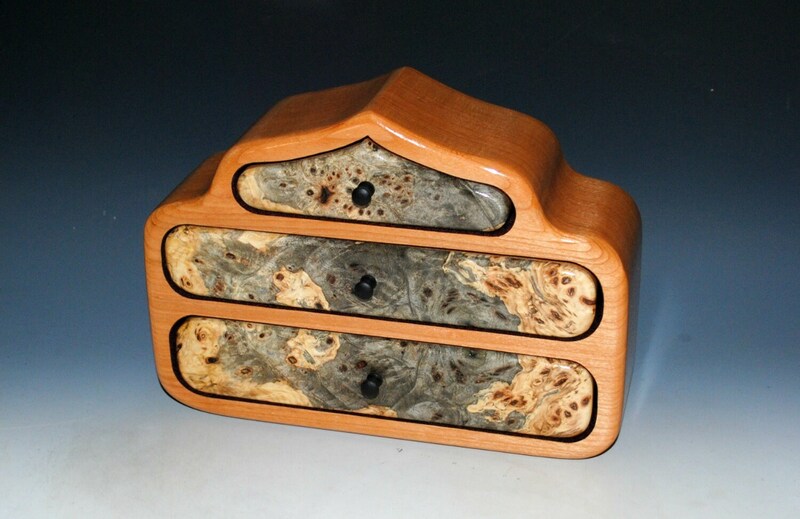 Next thing you know it had drawers cut out and some wonderfully figured Buckeye Burl. 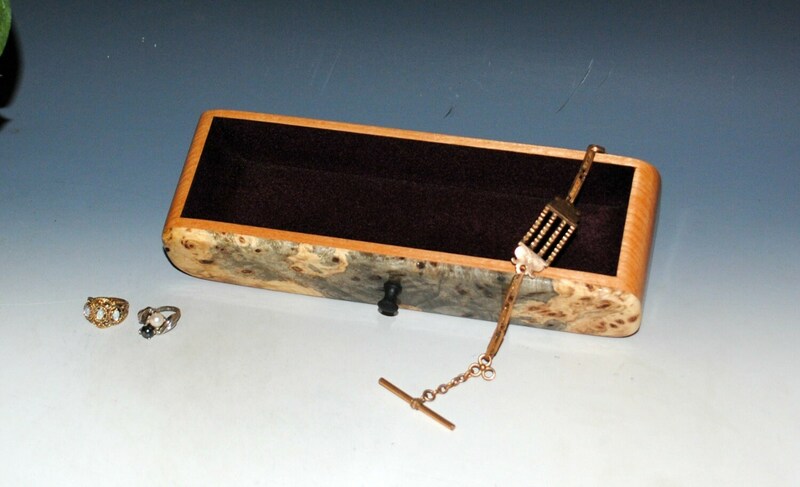 Not a large box but has a few compartments as well as open areas for your special stuff. The top drawer, first exploded view., has 2 small compartments about 2" x 2". Bottom drawer is open, no dividers. As always, no stains or dyes used. 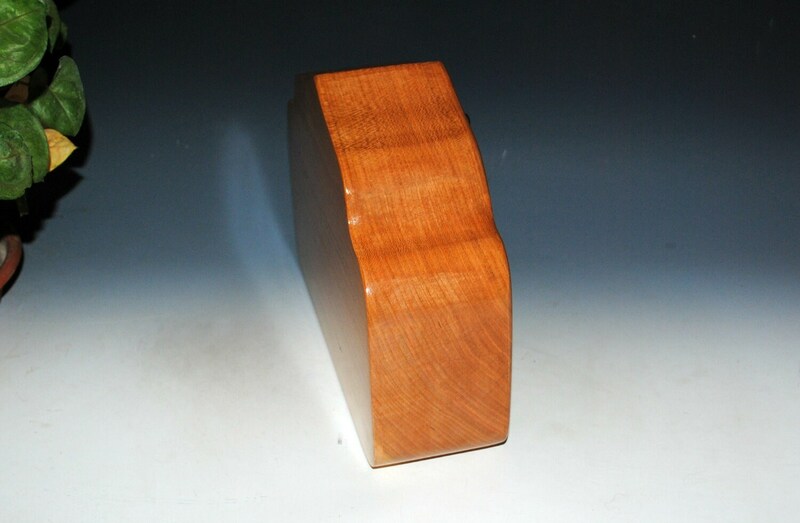 Hand-rubbed tung oil with hints of polyurethane in the undercoats for better sealing properties. Box is fully lined. 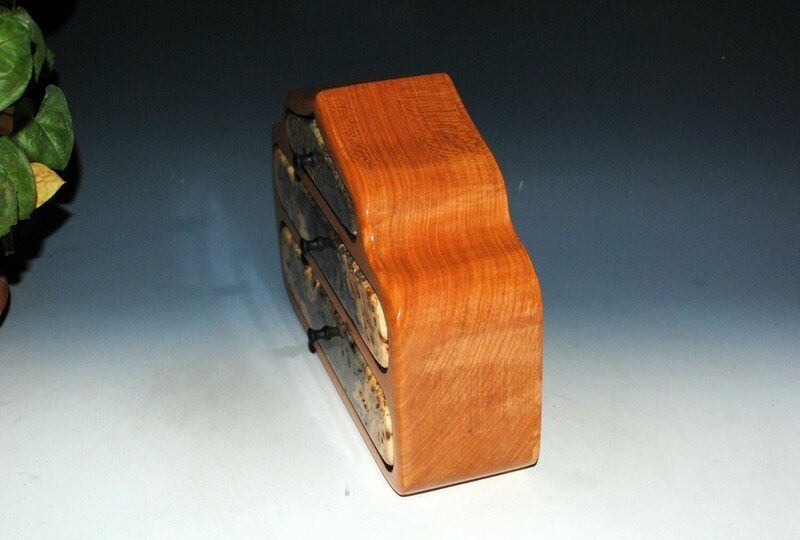 Drawers glide in and out smoothly with no wood dragging on wood feel or sound. 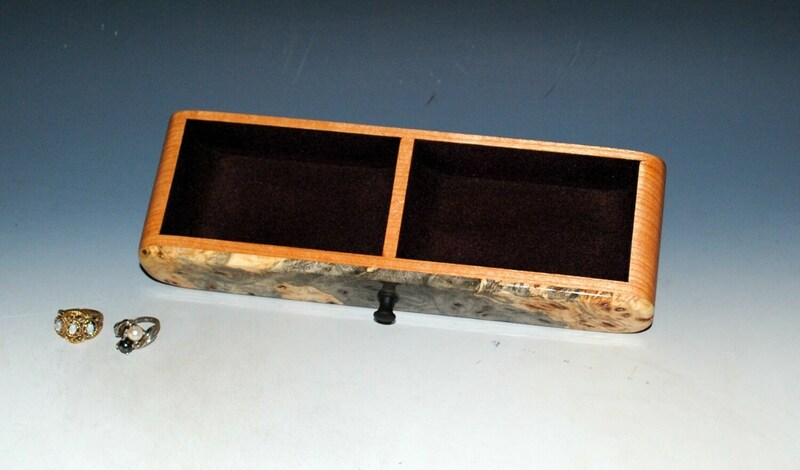 Knobs are brass but covered with hammered black paint as Buckeye Burl needs no additional bling. We utilize as much recycled and re-purposed material as possible when packing your box from the ravages of the shipping monsters. 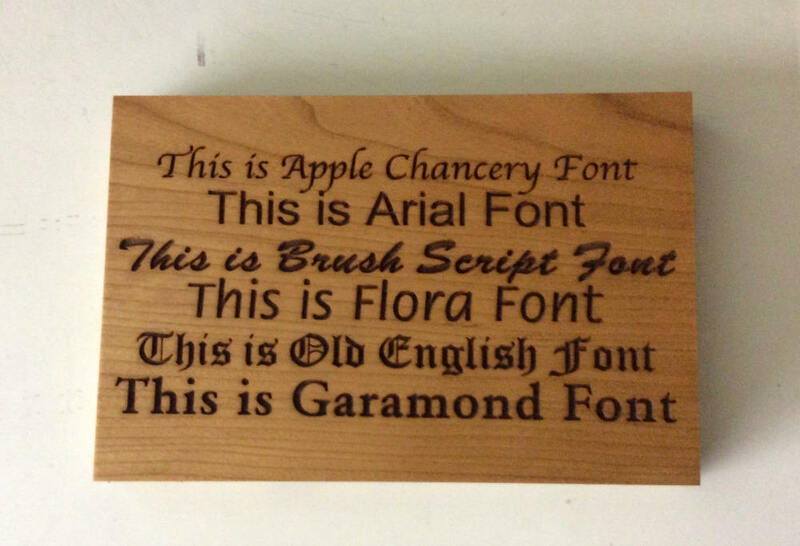 You can see other styles of our creative style boxes at the following link. 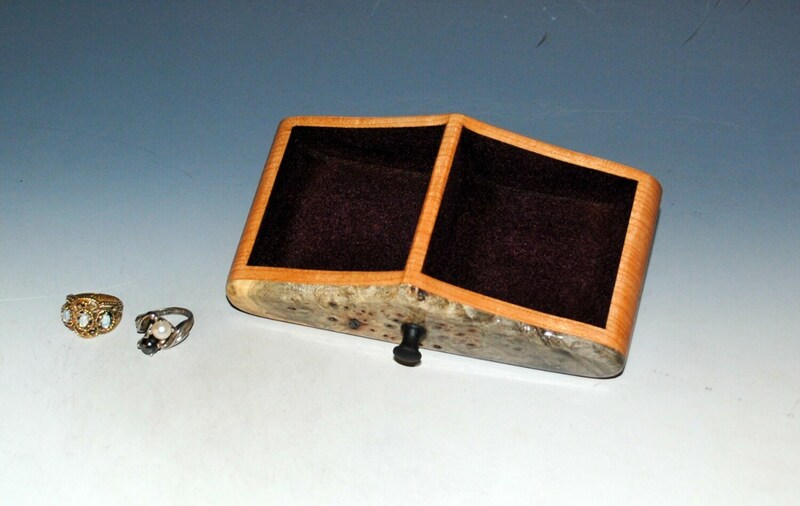 Additional styles of our wooden boxes from our shop's main page, link follows. Thanks for visiting BurlWoodBox on Etsy !!!! This box is absolutely beautiful, even more so in person than the pictures. 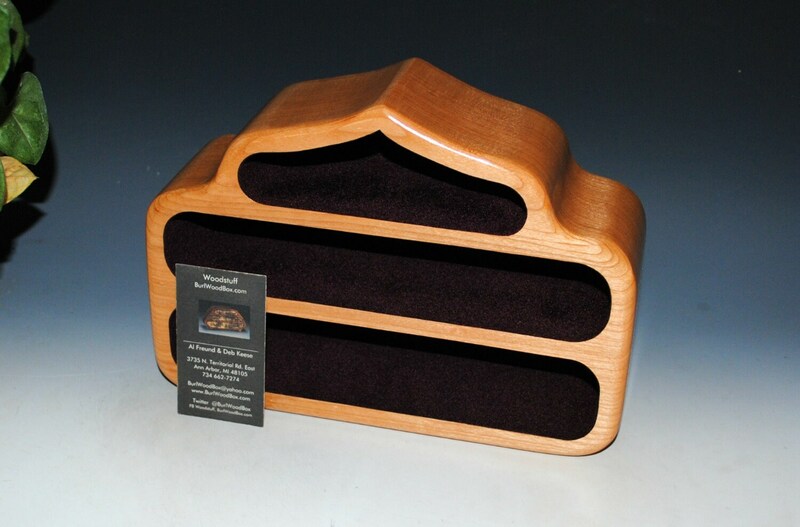 It is also beautifully made, seamless and sturdy - a real work of art that I will treasure.